Unfortunately, I’m a Detroit Lions fan. A fandom passed down by for generations, a gift or curse from my dad. If you’re a Lions fan, you remember the tragedy of 2008 (0-16) and the tragedy of 2015, where we made it to the playoffs but a bad call (per usual) lost us the game against Dallas (gross). If you’re not a Lions fan or have no idea what I’m talking about… We always lose. 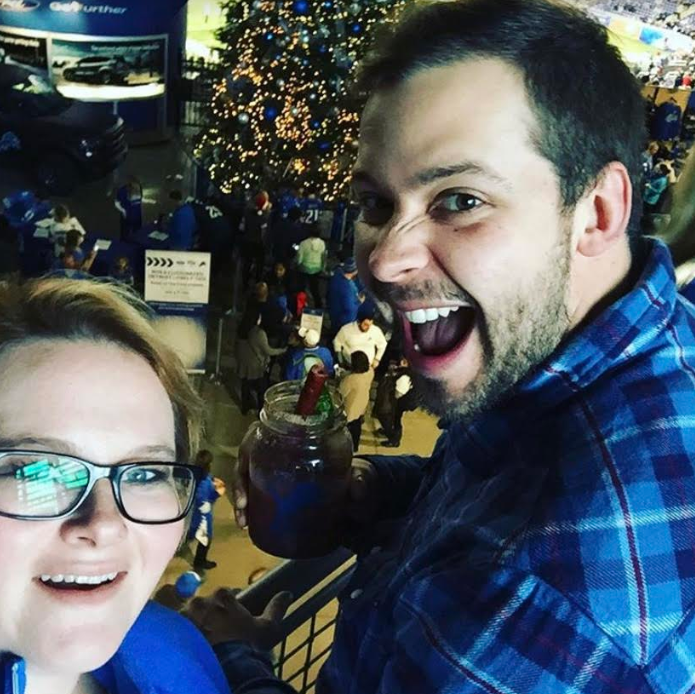 We’ve never been to the Super Bowl, and like the cubs, have a curse on the team. Granted, that curse expired.. but it hasn’t. The Super Bowl is just a reminder of hopes lost as a Lion’s fan. BUT it’s also a great reason to get together with friends and eat and drink. Here’s some menu suggestions that will help you eat your pain away, or if you are a fan of the teams playing – celebrate the right way! Oh football and nachos – my favorite combination. We got extra with these steak nachos, courtesy of Home and Family. 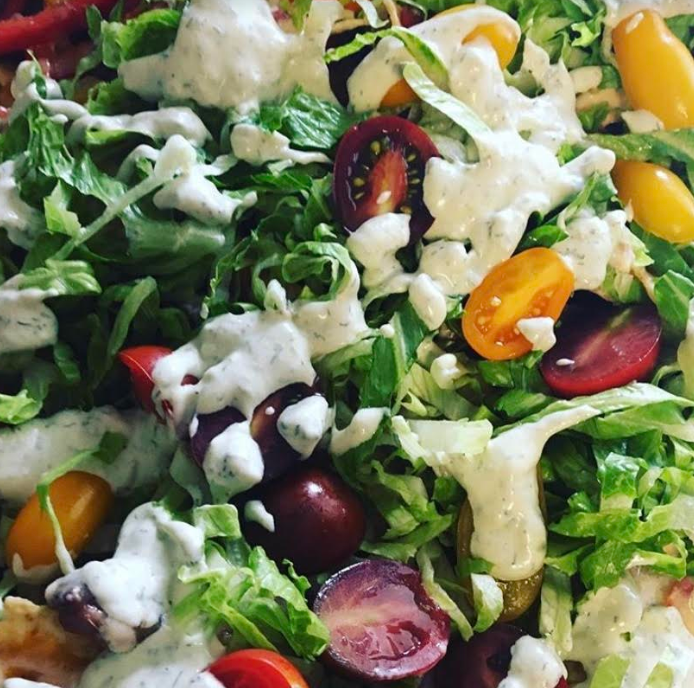 The avocado ranch dressing is enough to stop you at the 50-yard line. 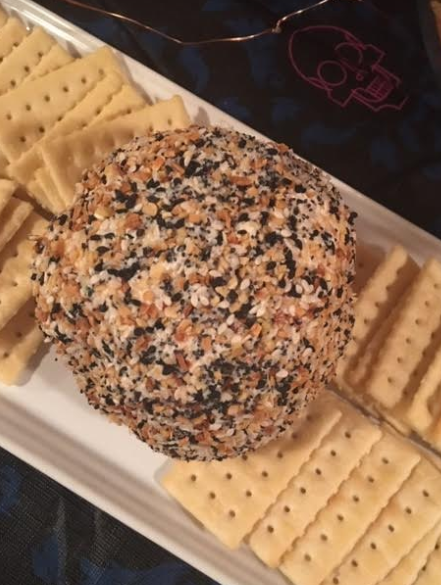 The everything bagel cheese ball is everything. Seriously – make it. You won’t be sorry, and it’s enough to feed a crowd. Giant subs and football.. Yes. Football is all about easy meals so you can watch the game (or the cute players). 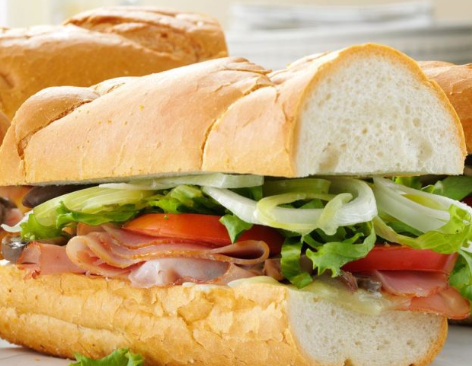 Making subs is easy: Grab a loaf of french bread and pile on the meats and cheeses. I highly recommend using a variety: turkey, ham, cheddar, provolone… add pickles, onions, lettuce, and tomatoes. Place condiments to the side for easy serve. 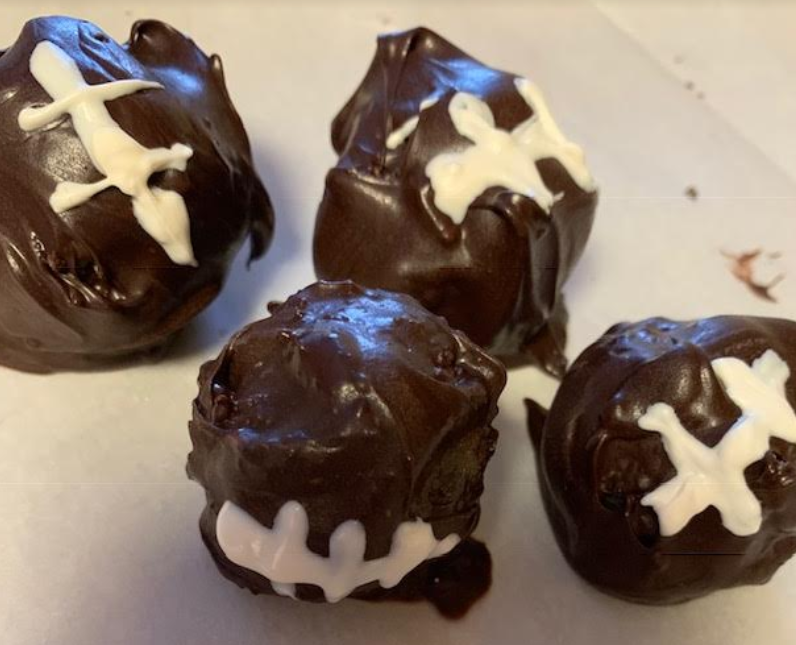 Cake balls are always a win and wickedly easy to make. Buy a cake box mix, and bake it as normal. Once cool, crumble and add some frosting (store bought or homemade) until you have a wet sand consistency. Form into a ball and chill. Now – melt some candy melts and dip your cake balls into them. Allow to harden and enjoy. Wicked easy. Decorate them like footballs! For the Patriots and for the Rams. As with every Lions fan – I will leave you with the “well, there’s always next year… Yes, next year will be the year.” Haha!